Moira’s case comes to trial, forcing her to reveal a very personal secret. But Oliver is distracted by the escape of the Count, who uses an altered form of his Vertigo drug to attack the city. MOIRA FIGHTS FOR HER LIFE; THE COUNT RETURNS - Oliver (Stephen Amell) is concerned when a mysterious illness sweeps the city, infecting hundreds of people, including Diggle (David Ramsey). Oliver discovers Vertigo in Diggle's blood and realizes The Count (guest star Seth Gabel) has broken out of prison and is once again distributing his drug. 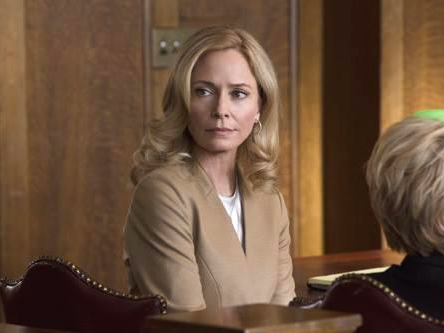 Meanwhile, Moira (Susanna Thompson) goes on trial for her participation in the Undertaking. ADA Adam Donner (guest star Dylan Bruce) collapses in court with Vertigo symptoms so Laurel (Katie Cassidy) must step in and try the case against Moira. Oliver is torn between standing by his family during the trial and catching The Count. 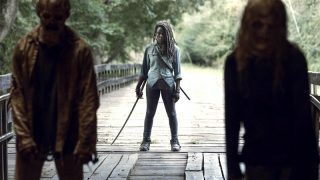 However, things change when Felicity (Emily Bett Rickards) follows a lead and walks straight into a trap set by The Count.